Good morning ladies and gentlemen! How are you doing on this beautiful Monday morning? 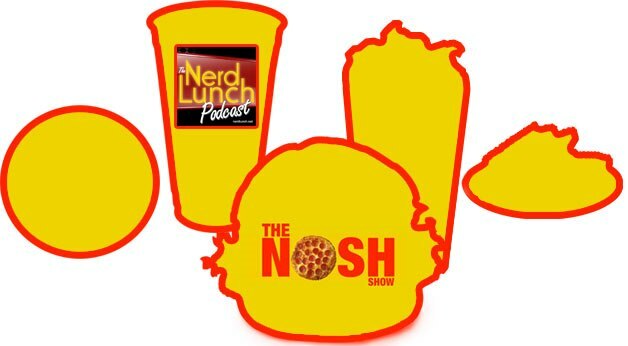 Last week the Nosh Show was joined by our Nerd Lunch buds CT, Jeeg, and Pax and we recorded not one, but two podcasts! The biggest question today is: which do you listen to first?? Ok, let's talk Nosh Show first since it's easy to explain. First we've got follow up which includes the very tasty new Reese Oreos. When you see these on sale for 2 for $6, you buy two.... or four. Next is Nosh or Not, and then we dive in to our big topic of movie themed foods. Lastly we wrap it up with some Nosh or Nots from our guests and call it a night. So after the Nosh Show was finished, we took a quick break and then taped episode 137 of Nerd Lunch and this one is a doozy. The mission? 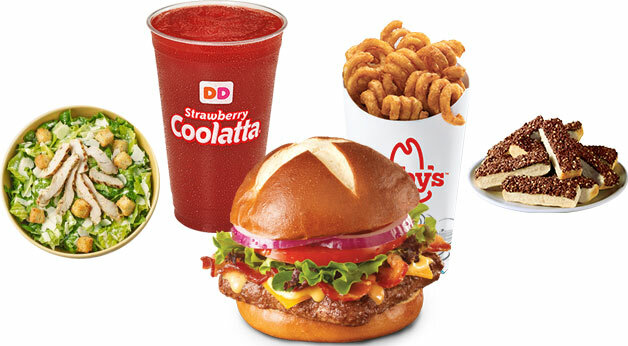 Create the ultimate fast food menu. The catch? Each item has to come from a top 20 fast food chain, it can't be a breakfast item, and you can only pick 5 items total [beef item, chicken item, drink, dessert, and a wild card item]. While the challenge was mighty, I like to think I made the best looking lineup. You can listen to the episode to see what I picked, or just click the image above to find out now. Wait, don't go yet, we need your help! You see, we need your help to see who came up with the best menu. Ofcourse I want you to vote for me, but I'll be happy if you just vote in general. Thanks for your help, and thanks for listening! Who came up with the best menu in the Nerd Lunch/Nosh Show Fast Food Draft?